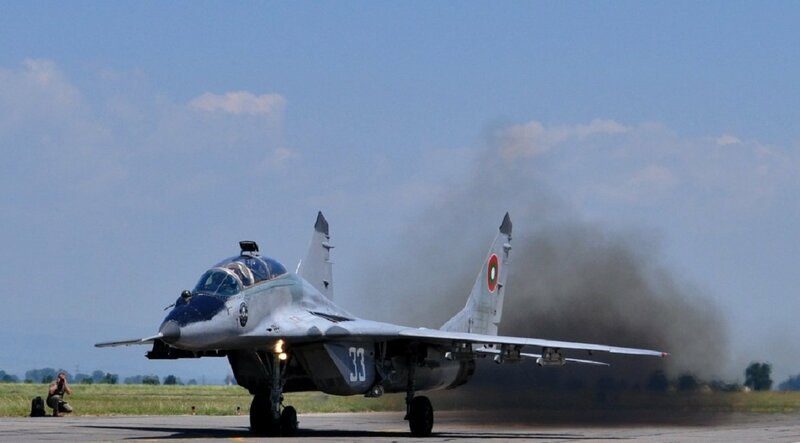 SOFIA, Bulgaria (BulgarianMilitary.com) – At today’s regular meeting, the Council of Ministers of the Republic of Bulgaria has approved the investment costs of the projects for the repair of the old Soviet aircraft MiG-29 and Su-25, providing additional BGN 46 million for the first and BGN 82 510 000 million for the Su-25s, learned BulgarianMilitary.com. The statement of the Bulgarian Ministry of Defence says that the MiG-29 and Su-25 repair will provide an opportunity the existing defence capabilities to be used in the period before Bulgaria acquires its new type of fighter and its operational readiness is declared. The additional funds, approved today, are provided at the expense of restructuring the expenditure in the Central Budget for 2018.